This means it is time for one long standing QFD Special Division Committee event, and time to start a new one. Event number one is our first ever Easter Flower Sale. 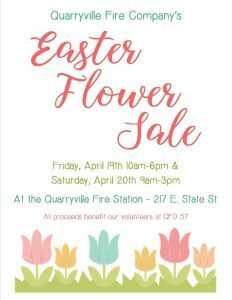 This flower sale will be on Friday, April 19th at 6 pm and Saturday April 20th from 9 am to 3 pm at the Quarryville Fire Station. This is the first time we have ever done this, but we know it be a success with the great community support we receive. 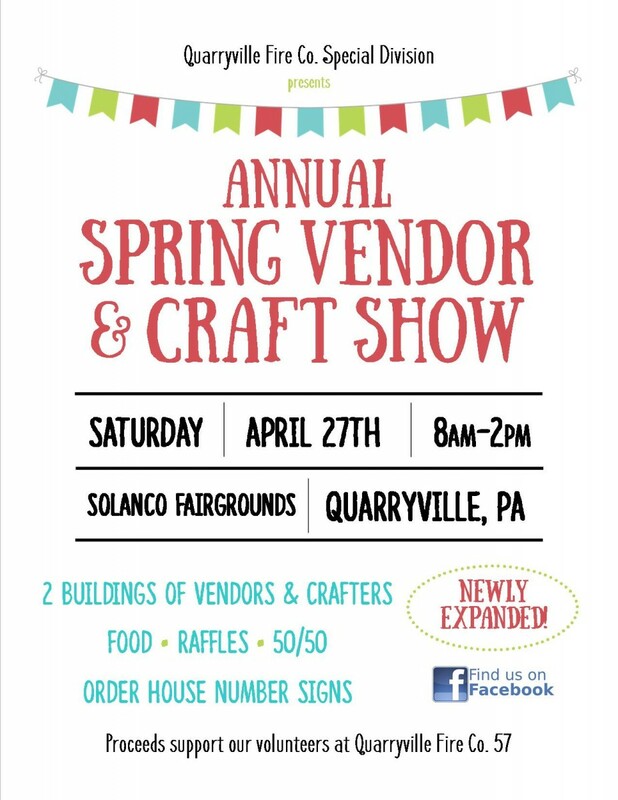 Event number two is our Annual Spring Vendor and Craft Show on Saturday April 27th from 8 am to 2 pm. This event is being held in two large buildings at the Solanco Fairgrounds and has expanded and grown. There will be vendors, crafts, food, raffles and a 50/50. It is sure to be a great time. More information will be posted as we get closer to the times of the events. 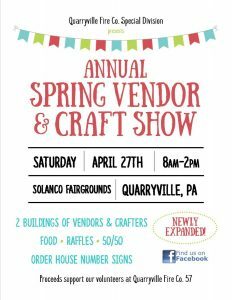 All proceeds benefit the Quarryville Fire Company.